Secrets to bringing light and life to your landscapes. A 128-page paperbaack book by Liz Haywood-Sullivan. From skies above to water below, discover the secrets to beautiful landscapes. No two elements of the landscape bring the artist greater inspiration or challenge- than sky and water. Get them right and you have magic. Get them wrong and your whole painting is off. In this book, popular pastel artist and teacher Liz Haywood-Sullivan shares her secrets for getting them both right, every time. With her practiced and proven approach, you can experience the joy of painting glowing skies and sparkling water. 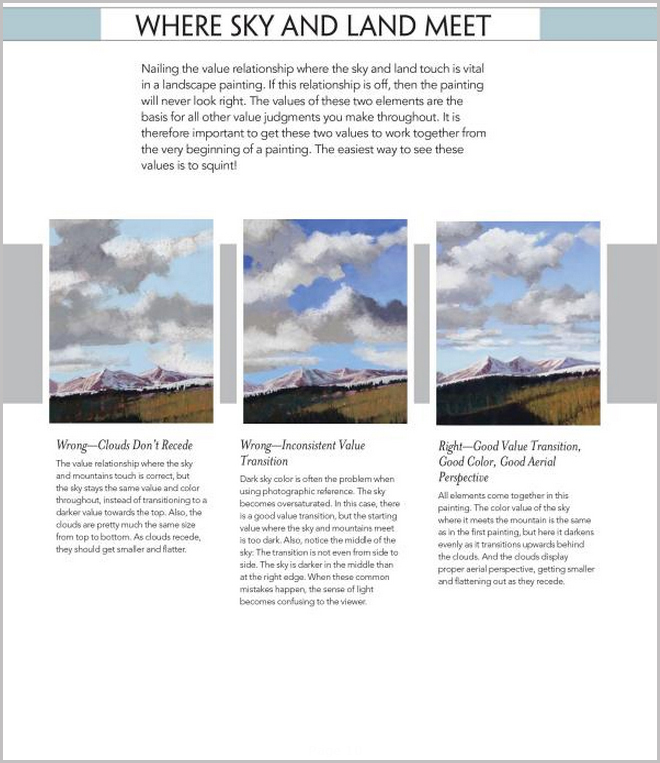 24 step by step demonstrations showing the creation of breathtaking skies and water in pastel. 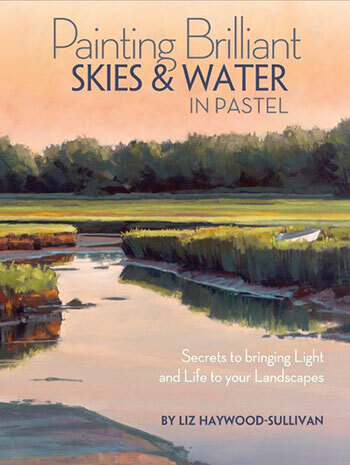 Beautifully illustrated with stunning landscapes, Painting Brilliant Skies and Water in Pastel is a must for artists who have not found the targeted help they seek in other landscape painting books. Use it to make the most of natures’ inspiration and pour mood, movement, and poetry into your paintings. 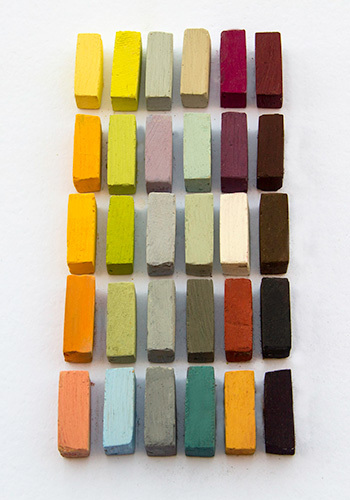 Liz Haywood-Sullivan also has two pastel selection sets in the Terry Ludwig pastels and three teaching DVDs about soft pastels on the Jacksons Art website. After a successful career as a graphic and exhibit designer Liz Haywood-Sullivan turned her artistic focus to fine art and the pastel medium in 1996. 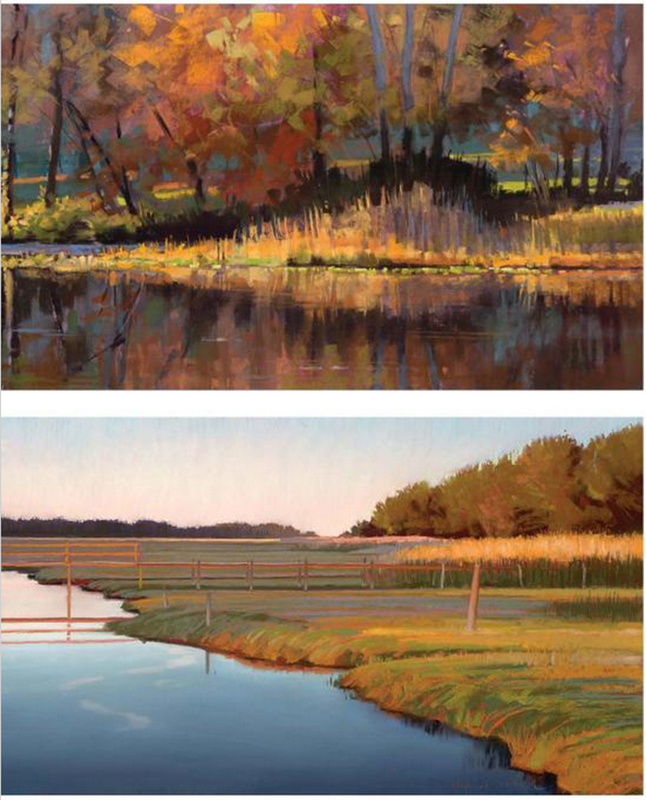 A landscape painter based in Marshfield Hills, MA, she finds inspiration for her award-winning paintings wherever she travels and teaches. In 2013, Liz became the President of the International Association of Pastel Societies (IAPS) and is the IAPS representative to ASTM (American Society of Testing and Materials). 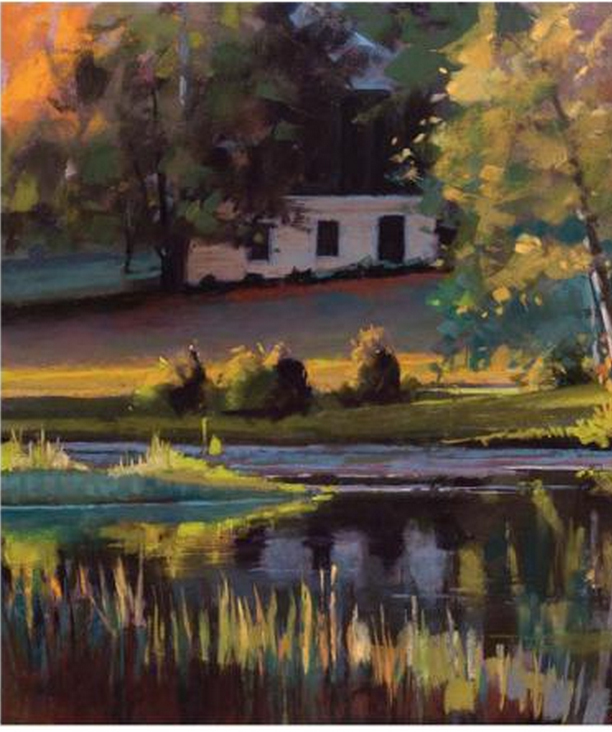 She is has been a Signature Member of the Pastel Society of America since 1998, and holds Signature memberships in the Connecticut Pastel Society, and the Pastel Painters Society of Cape Cod. She is also a member of the Salmagundi Club of New York and the Academic Artists Association. Dedicated to education in the arts, Liz conducts many workshops on pastel painting and the business of art, and is a sought after judge. Her paintings are collected worldwide and are represented by Vose Galleries of Boston, the oldest continuously run gallery in the US. 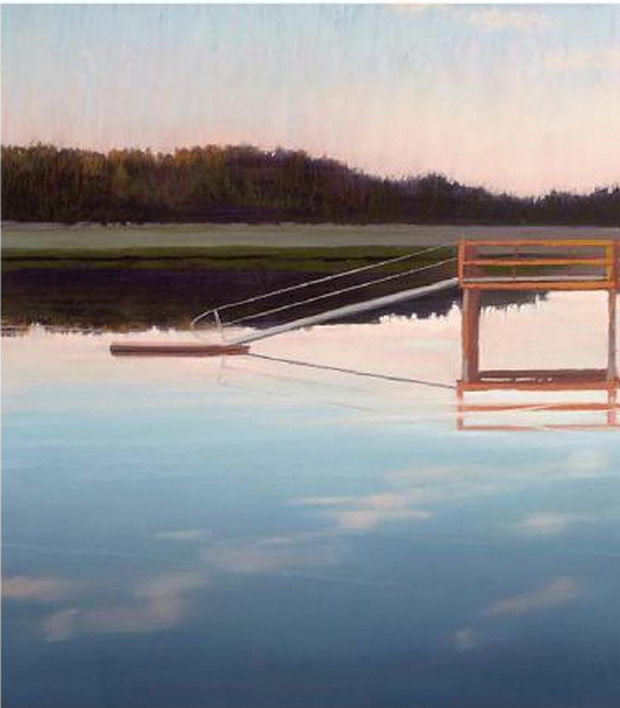 Click on the underlined link to go to the current offers on the book Painting Brilliant Skies & Water in Pastel on the Jackson’s Art Supplies website. 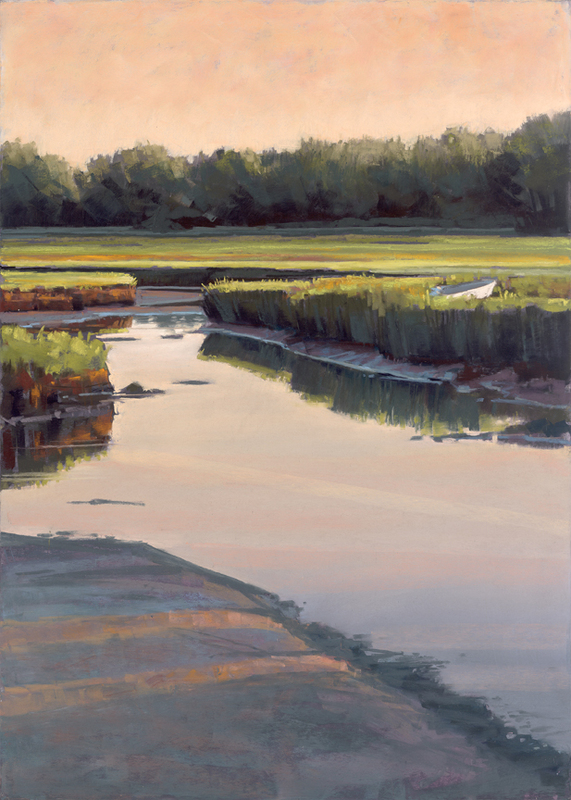 Spring Tide, pastel painting by Liz Haywood-Sullivan, from the cover of the book.